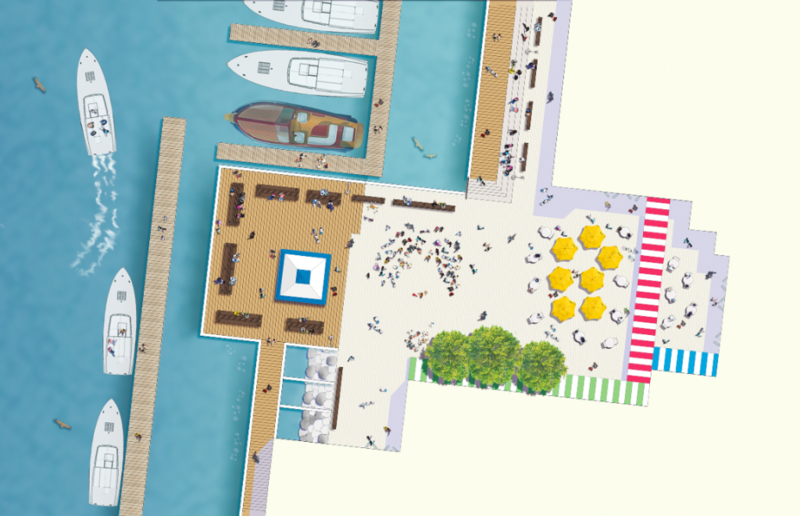 The large rendered plan above by Vancouver House landscape architects PFS Studio shows Beach District public spaces in full use, with the companion zones of Granville Island also illustrated for comparison. 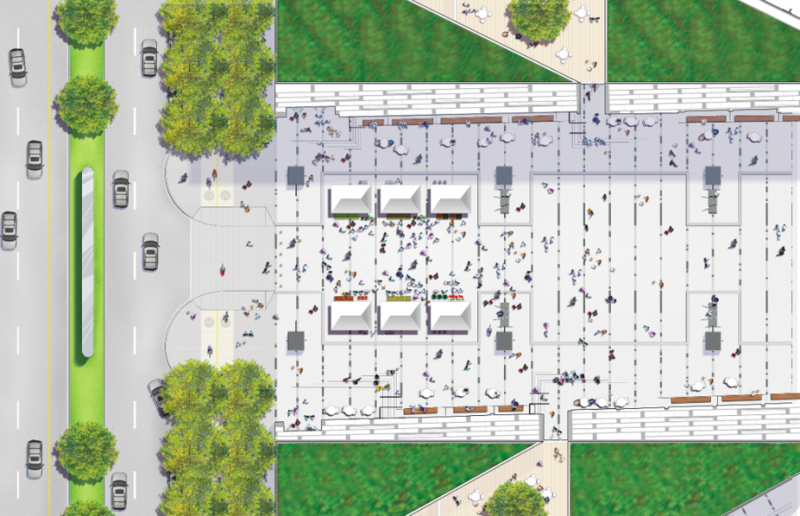 This compelling drawing portrays the hive of activity that will soon demark both sides of False Creek; look closely, you’ll see a rich range of activity on the streets. The green roofs have been shown at the top of the Vancouver House buildings, and linkages from the new development to False Creek and its ferries are evident. 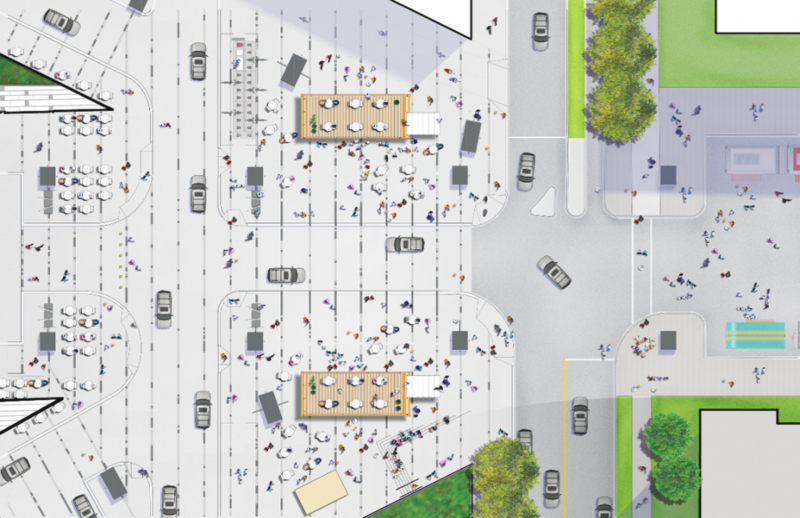 New retail and public space opportunities will give the north under-bridge zone the same liveliness found in the south zone on Granville Island, where the market building, Emily Carr University and other arts uses have transformed this into one of Vancouver’s most-loved spaces. 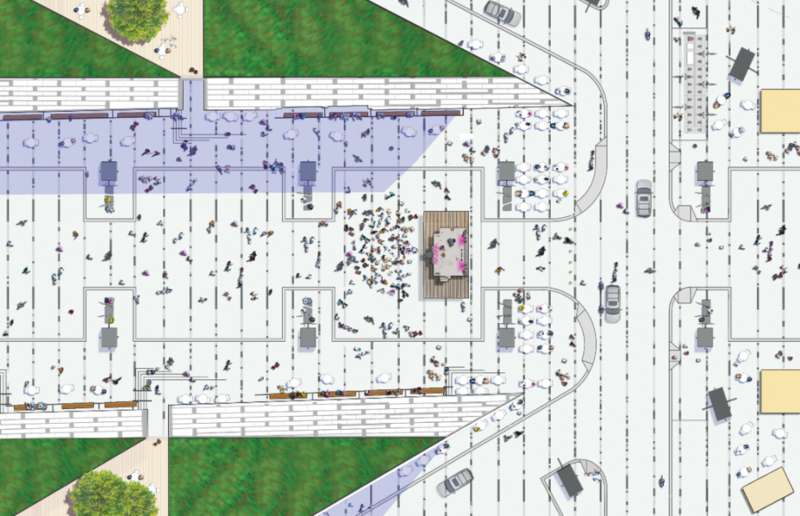 The ‘call-out’ drawings are zoom-ins highlighting some of the key spaces (pictured below). Enlightened city-building is more about people than it is concrete or copper, and this drawing shows how Beach District sets stages for every aspect of urban life.